As police officer Hatanaka puts on a ventriloquism act, a talisman falls out of the doll. Much to the officer’s horror the doll begins to speak on its own. A girl visits her friend from high school for dinner. As the two begin talking, the girl feels uneasy and believes they’re being watched. A young boy finds and brings home a Russian nesting doll. This little innocent event quickly turns into something more sinister. When a young university student takes a break from his studies, he quickly regrets it. While looking out his window he witnesses something he shouldn’t have. 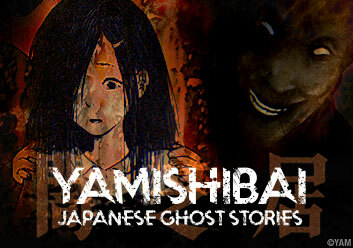 In an attempt to have her wish granted, a high school girl decides to try out an urban legend. She soon learns the hard lesson of, be careful what you wish for. As Takkun continues to say the name, Nao-chan, his parents soon realize the past can come back to haunt you, and your family. A business man tries out a capsule toy machine he had seen someone using. As treasures from his past begin to come out of the machine, he loses something more precious. When a death in his family occurs, Ken returns to his hometown. While there, he learns sometimes it’s better to keep a secret than tell the truth. Asako has moved from Tokyo to teach in the country, but may not be able to stomach the crunchy purple mass everyone loves to eat. As a man writes complaints about his boss in his diary, he hears a mosquito like buzzing. Days go by his complaints grow and so does the buzzing. Could it all be in his head? Keita Haga finds a manuscript on his train ride home and decides to enter it into a contest. This may have been the worst decision he’s ever made. When Kaoru is cleaning out her grandmother’s shop she comes across a pair of small ornaments. She soon finds herself wishing she never did. A young married couple decides to brave living in the countryside. It doesn’t take long for them to realize just how much their new neighbors like them.